The EC1007U Unisex Tee from econscious, is checking all the boxes for Earth Day event tees this year. Ok, two boxes. But when if comes to sustainable tees, these are the two important ones. The shirts are 100% certified organic ringspun cotton, and made in the USA. These are, what we call around the office, fashion tees, so a little sporty, very soft, and a little fashion forward. 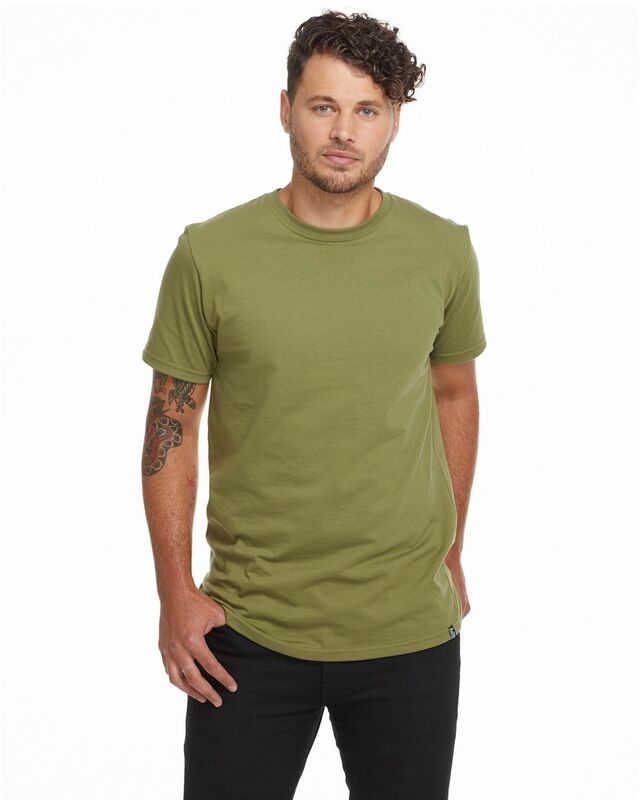 The EC1007U Unisex Tee from econscious, features a cotton rib neck, side-seam construction, and a tear-away lapel. Tee shirt colors are Black, Olive, Pacific Blue, and White, with sizes from S to 2XL. That’s about it. We are talking about a tee shirt after all. But if you need 100% organic and USA made, this is really one of the few tee options on the market. Lucky, it is a very nice option. If you are interested in EC1007U Unisex Tee from econscious to promote your own business, or to get a sample, email info@proformagreen.com for information and pricing. ← Introducing New Recycled Bottles!